5 New Products That Are Worth The Hype! 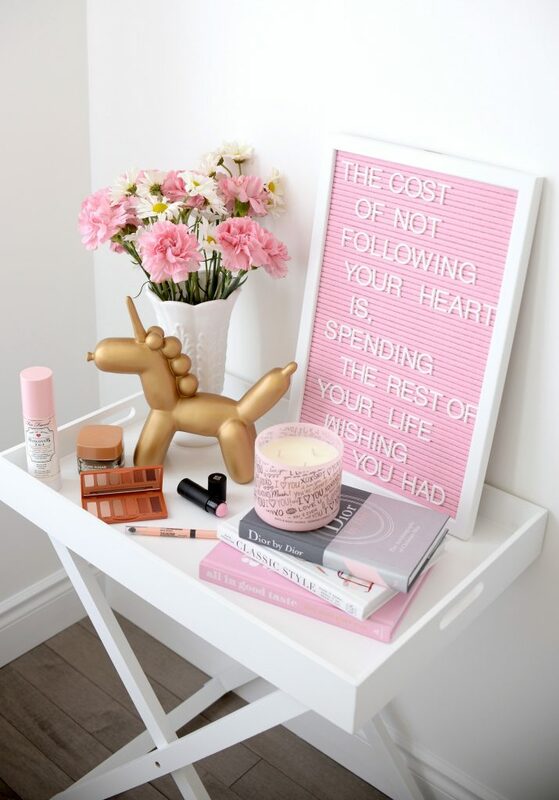 With so many products being released each month, how do you know which ones to invest your money on? 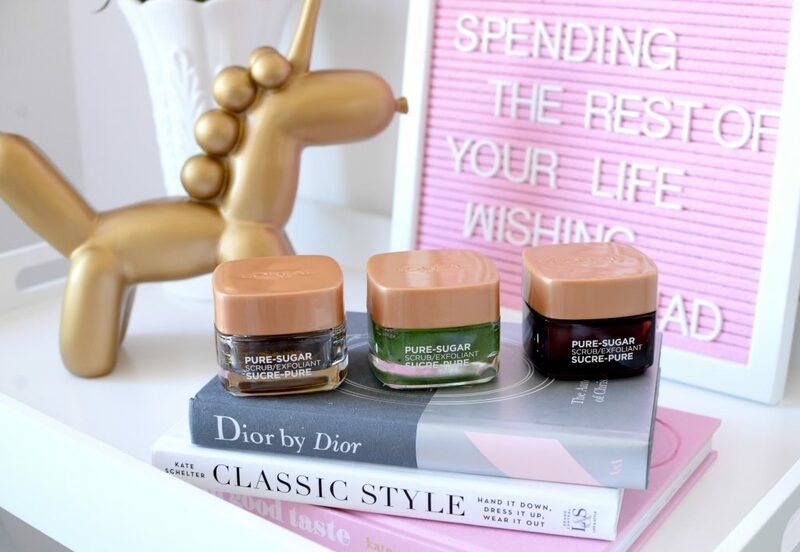 Being a blogger, I’m introduced to a ton of new brands, and a ton of new products each month, that it can be a tad overwhelming, let alone standing in the beauty aisle trying to figure out which new product to try. I’ve been busy this past month, playing with new makeup and skincare goodies, putting them to the test and deciding if they are worth the hype and worth your hard-earned dollar. 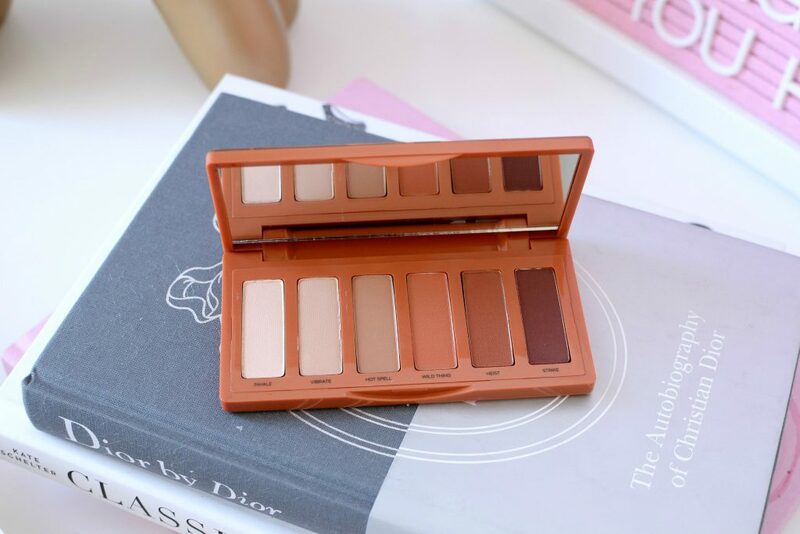 First up, Urban Decay Naked Petite Heat Palette. 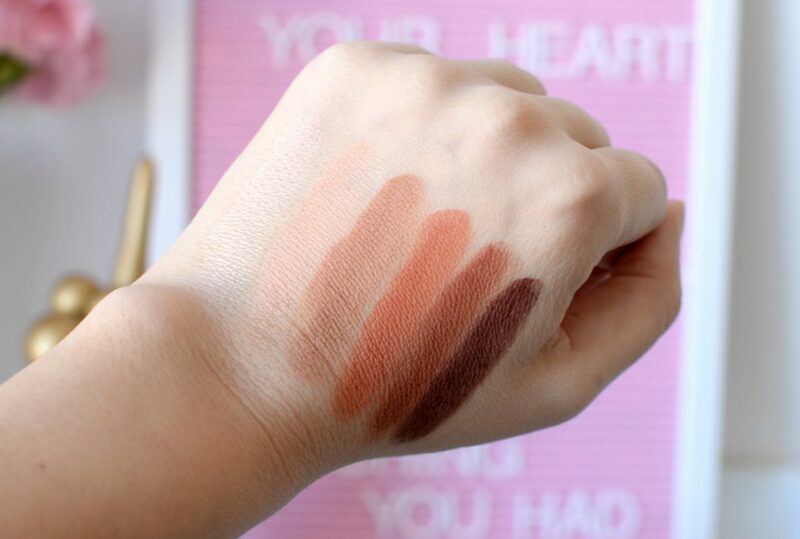 The original Heat Palette received a lot of buzz last year and quickly became the “it” palette of the season. If you’re not quite ready to make that pricey investment on such a warm palette, this baby-size, travel-friendly mini palette might be for you. Its a more compact version of the original, but still features all your favourite warm hues. This one actually has a stunning orange shade that’s truly unique and lets you create an array of sunset looks. This fun-size palette contains 5 perfectly matte shades, along with a demi-matte shade that’s perfect for highlighting the brow bone. 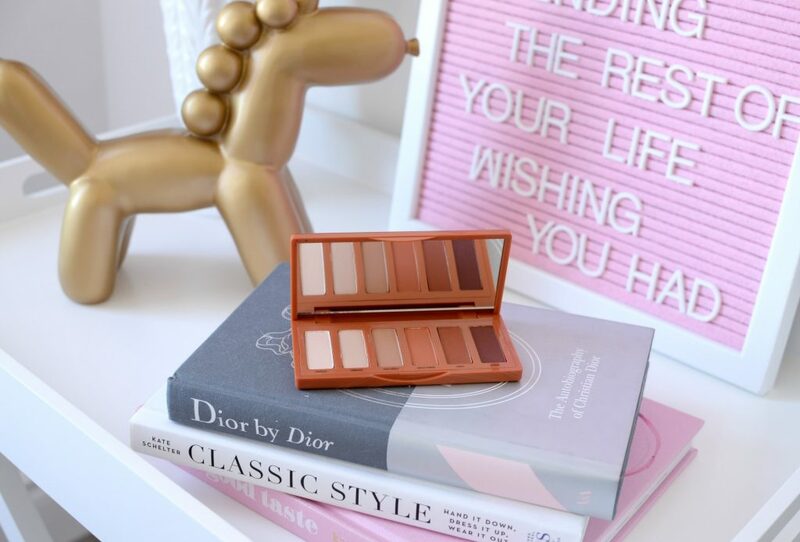 Surprisingly, you can achieve a ton of wearable looks with the Urban Decay Naked Petite Heat Palette, without having to reach for another palette. It comes with a lovely oatmeal shade that’s perfect for all-over lid, a few crease and transition shades, along with a few richer and deeper hues that effortlessly allows you to warm up the outer corners. They are extremely pigmented, truly opaque and blend out beautifully. 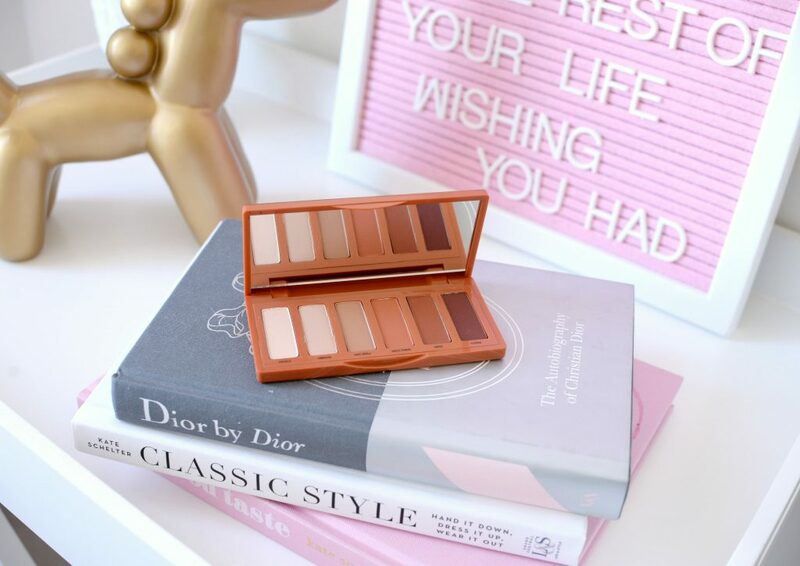 If you’re into a warm colour palette and looking for something that can take you from day to night, the Urban Decay Naked Petite Heat Palette will be worth every penny. It retails for $36. Although a fairly new product, the Givenchy Mat & Blur Touch Mattifying Stick is already generating a ton of buzz in the beauty community. It comes in a twist-up, stick packaging with a soft and velvety smooth formula. 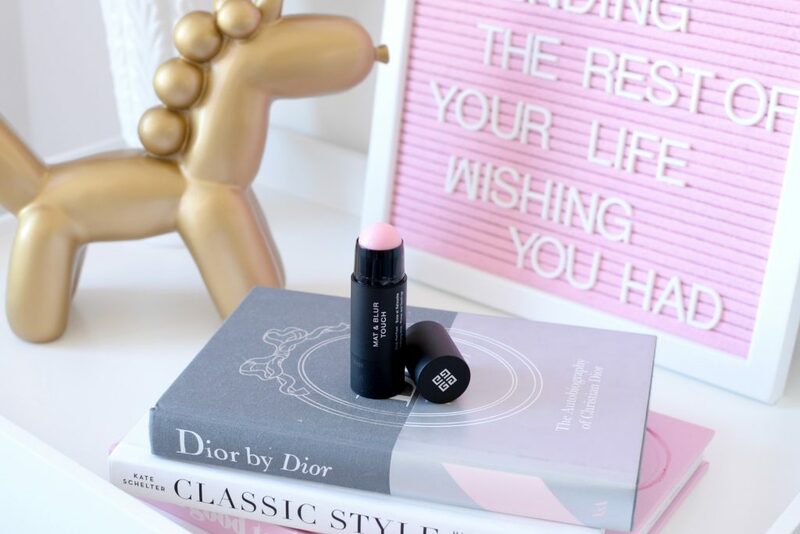 Don’t be fooled by its pink appearance, once applied to the skin, it’s completely transparent, allowing it to work on all skin types and tones. It’s not only perfect for creating an even base before foundation, it can also double as a touch-up stick for overtop of your makeup mid-day. It instantly diminishes excess shine while minimizing the look of enlarged pores. It helps to soften and blur imperfections for a completely flawless finish in seconds. Givenchy Mat & Blur Touch Mattifying Stick is an ingenious little product. The stick helps to immediately mattify, without looking dry or dull. Its lightweight texture not only feels completely weightless, it actually melts into the skin, so it feels like you’re wearing nothing at all. It helps to refine the appearance of skin texture for a completely smooth and seamless finish. Its unique formula helps to control oil and shine, while providing a natural luminous glow on the skin without looking greasy. It works magic on disguising pores and uneven texture for a gorgeous smooth and radiant finish. It retails for $45. 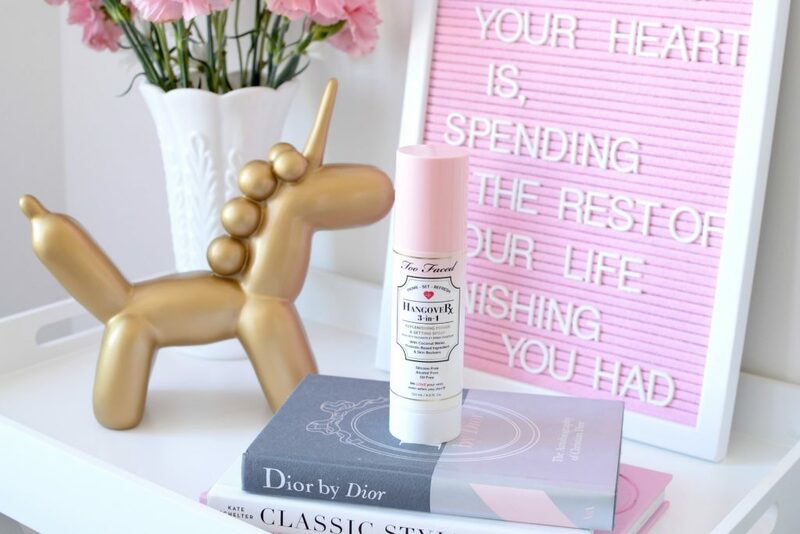 Too Face HangoverX Replenishing Face Primer took the world by storm last year, I’m already on my third tube, so it’s no surprise that everyone is going crazy for the new HangoverX 3-in-1 Replenishing Primer & Setting Spray. If you’re looking to simplify your beauty routine or just looking for less products in your makeup collection, a 3-in-1 product is the way to go. Like the face primer, this coconut water-infused mist helps to prime the face for foundation, along with setting everything in place, as well as refreshing dry, dehydrated skin. If your skin is suffering from a beauty hangover this season, the Too Face HangoverX Replenishing Face Primer can help. 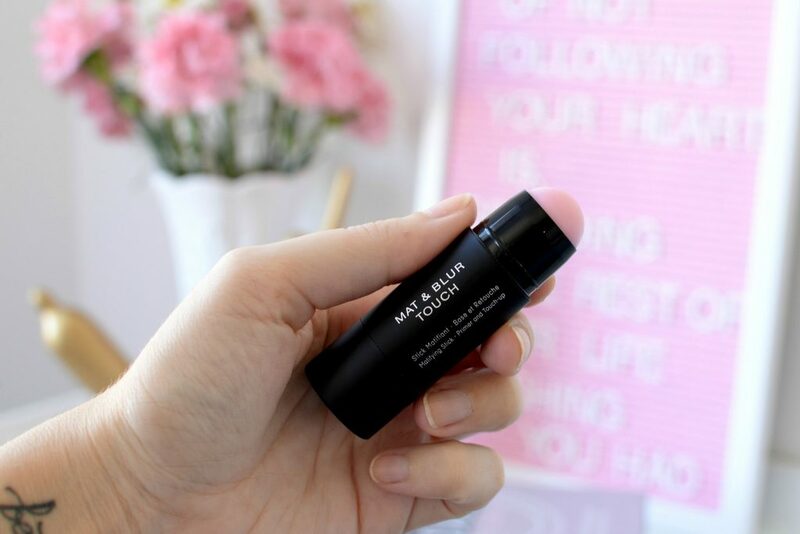 This multitasking mist can be used before your foundation to help create a perfectly hydrated, soft and smooth surface to allow the makeup to adhere to the skin better. It can also be used as a hydrating setting spray to lock everything in place all day. If your skin is looking a little tired, dull or dehydrated throughout the day, give it the ultimate mist-day boost with a shot or two of this refreshing spray. Its uniquely curated formula helps to instantly hydrate, brighten and promote skin’s elasticity without feeling heavy or greasy. It retails for $40. Anastasia may be the brow master, and for years everyone was hooked on her Brow Wiz, but there’s now other players in town. Brands know the importance of perfectly groomed and shaped brows and are jumping on the brow product bandwagon. Maybelline Total Temptation Brow Definer is a retractable, teardrop pencil that precisely fills in and shapes brows. On the opposite side you’ll find a spoolie for blending and combing through hairs. The pencil allows for ultra fine and natural strokes, while the sides allow for filling in larger areas. In just a few strokes you’ll be able to create the illusion of naturally full eyebrows. Maybelline Total Temptation Brow Definer honestly does an amazing job at mimicking fine, hair-like strokes, while filling in sparse areas. The unique shape is ideal for placing product where your arches may be bare or over-tweezed. 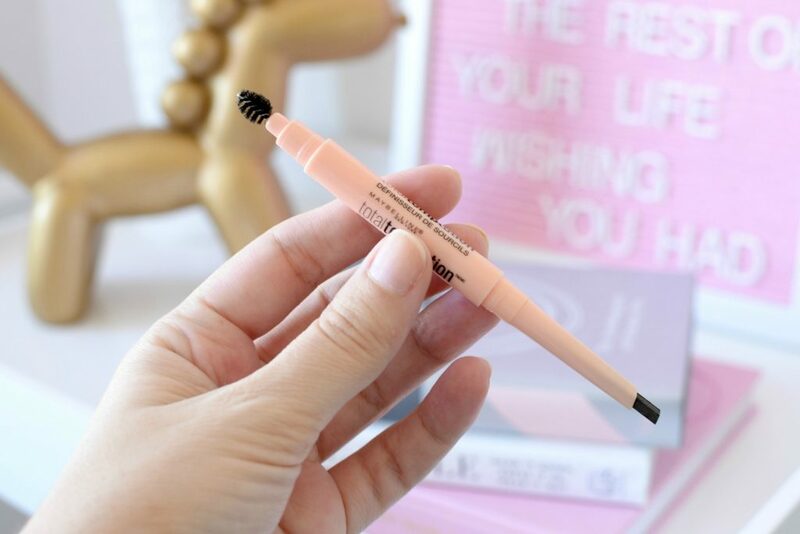 Its smudge-proof formula ensures your brows stay in place and look fresh and natural-looking the entire day. 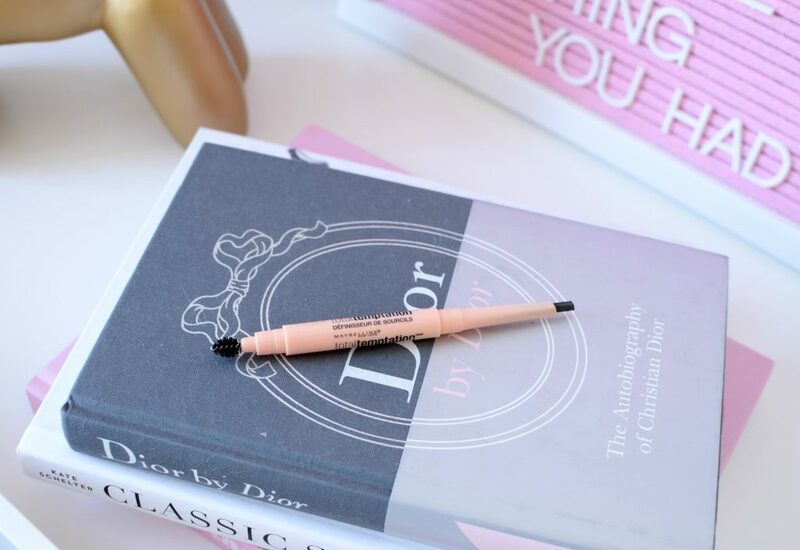 Although it’s incredibly pigmented, the colour is just strong enough to fill in brows fast without the danger of accidentally over-drawing your brows. It retails for $11.99 in 4 shades. Since sugar is a natural humectant, meaning it draws moisture from the environment into your skin, it’s an excellent way to hydrate dry skin. 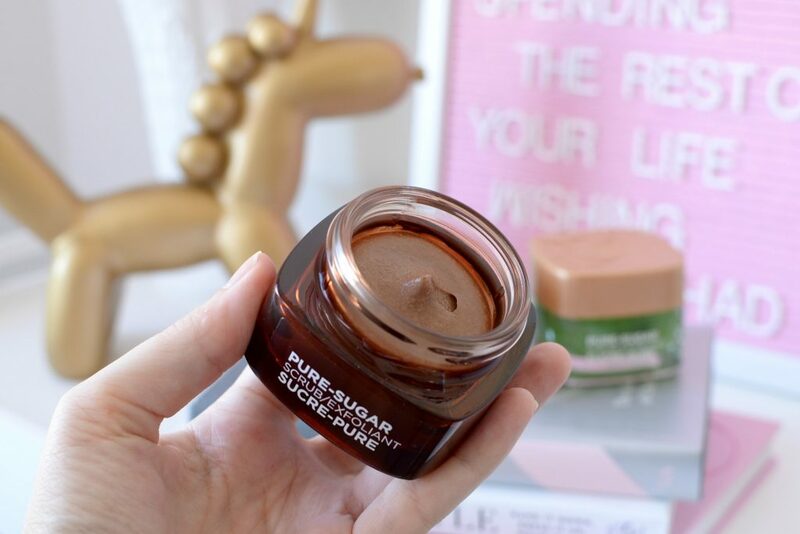 Sugar scrubs are widely favourable thanks to their amazing job at exfoliating the skin. L’Oréal has released a new range of scrubs that have left the beauty world chatting. The collection is formulated with a blend of 3 fines sugars, all enhanced with key natural ingredients, to target certain skincare concerns. Upon contact with water, the scrubs almost melt into the skin, gently, yet effectively exfoliating the skin. It instantly helps to clear up any dry patches, while removing all traces of dead skin. Skin is immediately left incredibly silky smooth, velvety soft and insanely moisturized. The lineup consists of a Grapeseed scrub that’s perfect for those with dull skin and looking for a little brightness. The Kiwi one is ideal for those with oily skin as it helps to tighten and unclog pores. The Cocoa one is amazing for those with dry skin as it helps to smooth and nourish itchy and irritated skin. No matter which one you decide to try, all three will leave your skin visibly soft, smooth and glowing. They do an amazing job at slothing off dead skin cells, revealing a healthy, fresher and brighter complexion. It retails for $14.99. I was just at sephora yesterday, I will have to go back and get the mini Heat. I bought the full size last year but the mini seems so compact.